SkelStart Engine Module is the next generation solution for engine starting for trucking, maritime, agriculture, forestry, and generators. 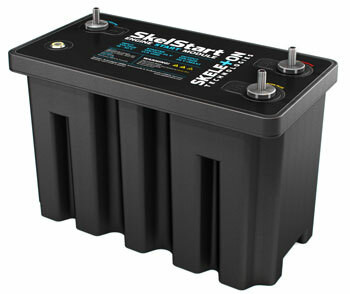 It will start any large diesel engine, no matter the status of your batteries or how cold it is. SkelStart has the highest peak power and cold cranking amps on the market, and features a new fire retardant casing, increasing its safety even further. Download our white paper on the SkelStart Engine Module by filling in the form today! © 2015 Skeleton technologies. All rights reserved.